How Could the Oncoming Cold Weather Harm Your Hair? Most people find no other time of year as enjoyable as autumn. The hot air has vanished into the ether and with it brought all the perks of cozy clothing, toasty drinks and gorgeous scenery for your viewing pleasure. However, as the cold settles in and autumn slowly gives way to winter, you may find the weather wearing out its welcome, at least where your hair is concerned! The incoming cold air can have a whole host of negative effects on your hair. The good news is it’s nothing a quality hair care routine can’t fix. In this article, you’ll find a guide to some of the worst hair-related problems caused by cold air. Split ends are such a common problem you may shrug this off. If you don’t have split ends, you don’t want to risk the cold air creating them. If you already have split ends, you equally do not want the cold air to make them even worse. You have two options as far as fixing this problem, depending on whether your ends are already split. If your ends are split-free, you can always pluck your jar of mayonnaise from your fridge. While the jury’s out on taste, mayonnaise is excellent for your hair’s health when applied directly. We know this sounds gross, but bear with us; it’s quite effective! Spoon some of it out and comb it through your hair. Make sure it’s damp before you apply it for best results. Once it’s spread evenly, you can leave it in for around 20 minutes, then wash it out with the help of some great sulfate free shampoo. 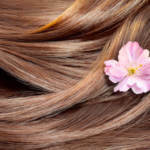 Hair products for remy hair can keep your hair looking great. Static is yet another common problem that’s exclusive to the cold weather months. It’s caused by the dry warm hair of your heating system. Soothing it is as simple as swiping a few dryer sheets and massaging them along your hair. We recommend doing this once you’ve brushed to ensure you don’t miss a single strand. It’s a better solution than other, more product-heavy solutions because it won’t bog your hair down and leave it potentially feeling gross. This last effect will be your biggest enemy yet, as well as your biggest battle! Cold air does the exact opposite of the humid air you encountered throughout summer and early autumn. Your hair’s moisture is literally being sucked away, rendering it brittle and limp. One way to fight this works similarly to the mayonnaise trick mentioned above, but with pure honey instead of mayo. Simply combine it with some almond oil, work it in, wait for a good 20 minute span and hit the shower for some shampooing! Alternatively, you can also rely on our excellent stock of hair products for remy hair to restore your hair’s bounce. 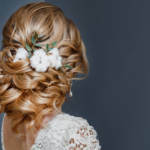 While these aren’t the only problems you may face with your hair as winter settles in, we hope what we’ve mentioned will give you a good idea of what to expect! Should you have more questions on how to maintain quality hair care for the rest of the year or run into any other problems, contact us. We’d be happy to help you restore your hair to perfect health. Consider Rocking These Adorable Hair Accessories This Fall! How Can You Safeguard Your Hair Against Cold Weather?